On May 31st, 2014, in Waukesha, Wisconsin, three 12 year-old friends, Payton Leutner, Morgan Geyser, and Anissa Weier got up to a breakfast of donuts at Geyser's house, after a day out at a skate park and a sleepover. Laughing and carefree, they then set out for a walk in a nearby woods. Some time later that day, a cyclist stumbled across Leutner, alone, in a ditch by the side of the road, covered in blood from nineteen stab wounds. She informed police arriving at the scene that she had been attacked by Geyser and Weier. Lautner was rushed into hospital and, mercifully and miraculously, survived. The other two girls were later apprehended by a Sherriff's Deputy, still carrying the bloody knife used in the assault with them. Under questioning in custody, both girls independently explained that the attack was necessary appeasement to keep their families safe from a supernatural being called Slenderman. Further questioning revealed the two had planned the attack over several months. Generation gaps around culture have strangely-shaped borders. For instance, pop music is not the divider it once was, and a pre-teen and a middle aged adult sharing a fondness for Beyonce is not remotely unusual. The current run of Star Wars films are enjoyed equally and together from grandparent to grandchild. The search-driven, individually tailored nature of exploring the internet offers very little scope for this kind of inter-generational commonality. Rather, each individual can drill deeper and deeper into whatever engages their interest, probably with a lively online peer group, but with oddly little overlap into real world and family life. Director Irene Taylor Brodsky's disturbing portrait of Anissa Weier and Morgan Geyser, Beware The Slenderman for HBO, is not a scare story about the internet per se. But it raises some unsettling questions about the experience of the first generation of children born into a world where the internet is as commonplace as the TV, and shows that it's close to impossible for their parents to understand that experience. 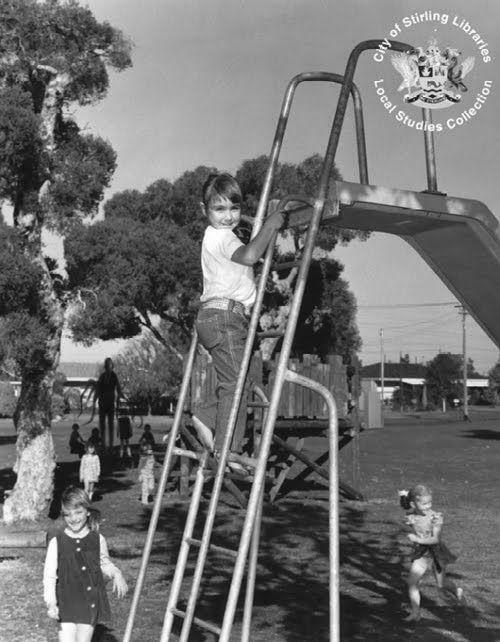 The character of Slenderman, a tall, faceless figure in a dark suit, with strange tentacles on its back, usually depicted silently observing children at play, was created in 2009, as an entry into a photo contest on the SomethingAwful forums. The aim of the contest was to alter a real photograph to suggest something paranormal, and something about creator Eric Knudsen's fuzzy, subtle, black-and-white images - and their tiny slivers of back-story - struck a chord. - 1983, photographer unknown, presumed dead. From there, Slendeman took flight as a huge cross-media phenomenon. Forum members wrote stories, made video clips, created more images, and the Slenderman mythos grew exponentially, with each new contributor adding something of their own neuroses, creativity, humour and angst. There are even a couple of very basic but stunningly effective fan-made Slenderman video games, which serve as brutally effective jump-scare machines. However, almost none of this material had a commercial or mainstream existence. There was no TV show, no film, no range of toys, no paperback books, no t-shirts; none of the usual cues through which a parent or a teacher would become aware of a piece of culture that was engaging kids. Either you were in on it, or you barely knew about it, if at all. (This may be set to change, with the rights to the character having somehow ended up in the hands of Mythology Entertainment). I recall becoming aware of all this quite early on. As a horror fan, I found the whole thing an absolute hoot, and I was routinely impressed by how young some of the smarter creators were. Beware The Slenderman features a YouTube video made by a couple of pre-teens which is an absolute masterclass of zero-budget horror film-making. It doesn't even show the Slenderman figure; the scare comes from knowing that the kids on screen have seen him. The artfulness is in the creators' canny grasp that the audience come primed by all the prior material. It's not to trivialise the horrific attack on Peyton to note that, overwhelmingly, this is all good clean fun, and simply the telling of ghost stories around the campfire updated for the digital age. 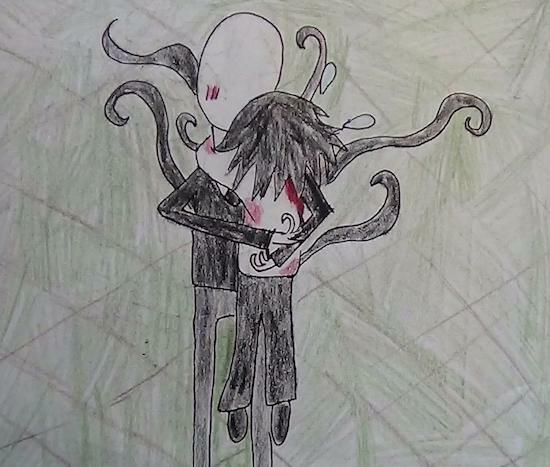 Indeed, the online communities that swap Slenderman stories reacted in horror and sympathy when news of the assault broke, and users of the Creepypasta Wiki, one of Slenderman's main homes on the web, immediately organised a fundraiser for the victim. Clearly, the experience of almost all participants in the phenomenon is entirely innocuous, and the fun of knowingly collaborating on a work of fiction is at the core of it. So what happened to Geyser and Weier? One of the most striking things about the documentary is simply a product of the times we live in. Everyone has a video camera, everyone uploads pictures and videos to the internet, online profiles are easily looked up. A good chunk of the material here is created by the flim's subjects. One fairly unsettling section is simply a sequence of screen shots and clips of Anissa Weier's YouTube viewing and comment history, showing an interest in dark and unsettling material that is surely more common than many parents would like to believe. Another thing it deftly highlights is simply what it's like to be 12. The two girls are both clearly bright and highly articulate. In the police interview footage, they both express themselves with great clarity, and are clearly at ease communicating with adults. They're at the peculiar age where a child starts to acquire adult cognition, and they both display flashes of great maturity and insight. At the same time, though, they're still kids, and somewhat geeky, daydreaming ones (Morgan is a huge Star Trek fan, and likes to draw pictures of Mr. Spock). It's to be expected that a phenomena like Slenderman would appeal to the imaginative, bookish kids, and they are certainly that. Neither of them has a trace of guile or worldliness. Morgan's mother mentions that she'd only recently stopped believing in Santa Claus at the age of 11. Much of the narrative comes in the form of custodial interview and courtroom footage, and it's this that detail by detail, starts to make some sense of a crime that's almost unbearable to contemplate. Weier seems to be primarily an extremely lonely and emotionally fragile child, navigating the world with no sceptical skills whatsoever. "Some kids are just big believers," one of her small circle of friends explains. They can't help but believe everything they hear". Geyser, on the other hand, is eventually diagnosed as suffering schizophrenia, of a fairly acute sort. She hallucinates constantly, but most dangerously, experiences powerful delusional ideation: where Weier is the kind of kid who could talk themselves into believing Slenderman is real, Geyser knows he is. Indeed, Geyser later recalls seeing Slenderman when she was three years old, which pre-dates his creation, and is clearly a false memory. It transpires that the two girls developed a strong fascination with the character, which they mostly didn't share with other friends. And in some kind of feedback loop between Anissa's credulity and Morgan's delusional certainty, they came to believe that Slenderman required that they kill their friend, or he would kill their families. In one of the most chilling moments, Geyser is told that Lautner hasn't died but is in the hospital, and recoils with visible fear. The horrific calculation is obvious; if Lautner is alive, then Slenderman's requirements have not been met. She clearly understands that what they've done to Lautner is a terrible thing, and watching a 12 year old wrestle with what she regards as an awful duress is gut-wrenching stuff. 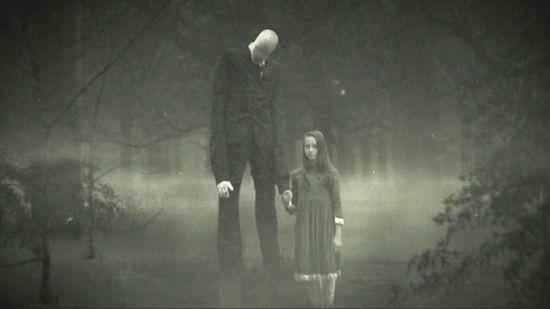 One of the elements of this mythos is the deep ambiguity of Slenderman's relationship with children. He is clearly a dark and sinister figure, but is also a strange kind of ally, and images typically show children going to him willingly. And a sequence showing Morgan's own disturbing Slenderman drawings get right to the heart of this. This is all, of course, utterly heart-breaking to watch. And the palpable grief and confusion of the families doesn't make it any easier to take in. The Lautner family declined to be involved, which is lightly touched upon by Anissa's father, saying "I'm angry about the situation, and my daughter's not the one who spent seven days in a hospital recovering from this". Weier and Geyser's families are clearly very willing participants, but its notable that none among them seeks to diminish or excuse what has happened. Rather we get a picture of extended families, paralysed in incomprehension, grappling with the possibly incomprehensible. 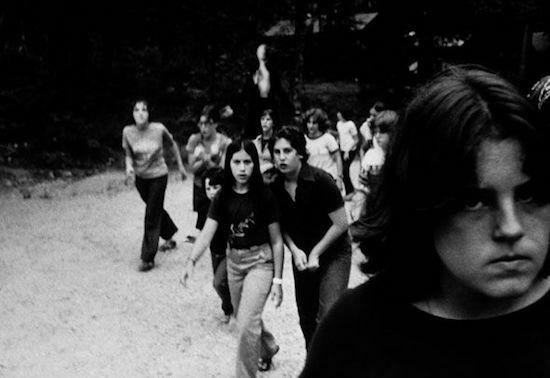 The sympathetic portrayal of the two girls and their families, coupled with the non-involvement of the Lautners lays Beware The Slenderman open to accusations of partisanship and, arguably, exploitation. And that's not an easy one to call. My own feeling is that this is a powerful and perhaps even important piece of work, that raises large questions and wisely avoids any pat answers. Child-on-child violence, even when born of mental illness is a crime. But it's a crime that cries out for understanding ahead of condemnation, if there's to be any hope of preventing such tragedies wherever possible. Beware The Slenderman offers no solutions, but makes a quiet plea for careful contemplation. Weier and Geyser are currently awaiting a ruling on a charge of attempted first-degree intentional homicide, after an appeals court upheld a prior decision for them to be tried as adults. They are both now 15 years of age.